More evidence found on Mars suggests the planet didn’t just have water, but an entire ocean. Scientists compiled data collected by the Curiosity and Discovery rovers, as well as NASA’s Reconnaissance Orbiter, and found that an enormous ocean existed on the Martian planet billions of years ago. Despite how it looks today, maybe it didn’t differ all that much from our own planet. According to Space.com, images snapped by the Reconnaissance Orbiter reveal an alleged river delta, which scientist believe emptied into a vast ocean. Some pundits argue that up to one-third of the planet was once covered in water. If that’s the case, it really changes our perception of the Martian planet, which today looks like it’s never seen a rainy day in its life. 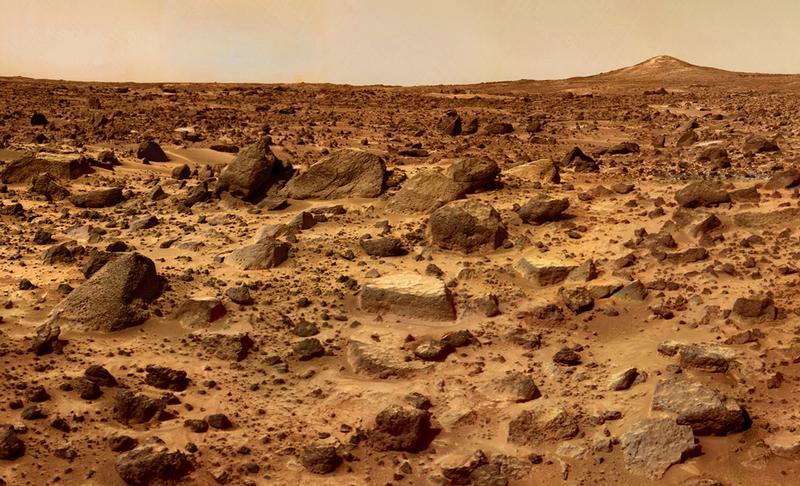 “Scientists have long hypothesized that the northern lowlands of Mars are a dried-up ocean bottom, but no one yet has found the smoking gun,” said Mike Lamb, assistant professor of geology at CalTech in Pasadena. The latest finds don’t necessarily provide that smoking gun, but the information does help researchers better understand the mysterious red orb. 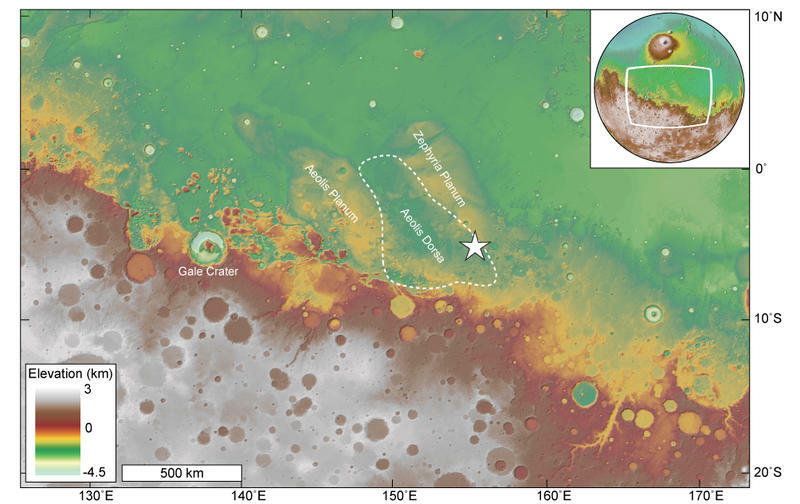 Researchers looked at a 39-square-mile area that’s part of Aeolis Dorsa, which neighbors the Gale Crater; NASA’s Curiosity Rover landed inside Mars’ Gale Crater last year, and has been exploring ever since. According to Space.com, the small section scientists studied features a number of ridges called inverted channels, which form in river bottoms over time when coarse material is deposited by flowing water. We saw good evidence of such a scene snapped by Curiosity. Reconnaissance’s HiRise camera has the capability of distinguishing features as small as 10 inches, giving researchers the ability to better study Mars’ surface. By studying images of the inverted channels, scientists were able to determine that they actually spread out and slope downward near their end, similar to what you’d see here on Earth. Space.com points out that river deltas have been discovered before, but those have only suggested bodies of water the size of lakes, not oceans. Researchers are still being cautious, however, admitting that the Aeolis Dorsa delta may have one day been confined by a crater that simply eroded over time. That might be significant in its own right, though, as that would suggest Mars’ surface is more active than previously thought. Either way, it’s becoming increasingly clear Mars once had water, though how much is still up for debate.